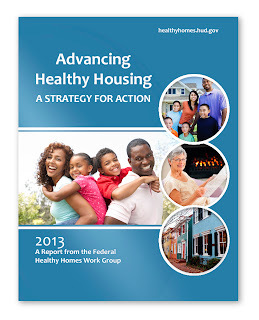 Colorado housing and health professionals will gather March 7 to form a Colorado response to the recently released federal publication, Advancing Health Housing: A Strategy for Action. The report details national strategies for keeping homes safe from environmental and physical hazards such as water leaks, fungus, pests, radon and secondhand smoke. Public and private state and local housing advocates are working together to eliminate these potential home health threats and ensure healthy homes for Colorado families. The Colorado Department of Public Health and Environment and Denver Health are hosting Colorado Healthy Homes: A Call to Action, to discuss federal strategies and how they might work for Colorado. The program will include presentations from Rick Garcia, Housing and Urban Development Region 8, Regional Administrator; Chris Urbina, M.D., M.P.H, Executive Director and Chief Medical Officer, Colorado Department of Public Health and Environment; Bill Burman, M.D., Director, Denver Public Health; and Patrick Coyle, Colorado Division of Housing. Experts in the fields of environmental justice, housing and health will hold a panel discussion. 2. If you have never used co.train, click on "create an account"
3. Review the policies and click "I agree"
Those who cannot attend can view the event on Livestream.